The Apple Watch is definitely a great device, and we have recently discovered that it has a feature that not many have talked about until now. While it will become available for pre-orders very soon, chances are that the device will go on sale with a very interesting feature that we will take a look at right now. As you may already know, those who are interested in a possible purchase of the Apple Watch can go ahead and schedule an in-store appointment where they can go ahead and take a closer look at the device and get more information from an Apple Store employee. Many people have already booked their appointments and have taken a look at the exciting device, but one user managed to snap the band of the device off and discovered something quite odd. If you remember, in the earliest pictures of the Apple Watch, we saw what looked like a mysterious port on the side of the device, which was thought to be a diagnostic port. Well, it seems like that port is still available on the watches which are in the store right now, which probably means that they’ll also be available in the watches which are sold out to the public. However, there’s a catch- the port is there, but it is not actually usable, as it is covered. Anyway, the simple fact that it is present means that Apple does have some plans in mind on what to do with it. Reports have mentioned that it could be used in order to power up smart band accessories in the near future, but we’re yet to see any device like this as of this moment. What’s interesting is that in the official documents that outline all of the ports that the device has, Apple makes no mention about the diagnostic port, which does raise a couple of questions. However, the simple fact that it is there, does mean that it is good for something- be it for repair purposes, or for adding some smart accessories to the device. 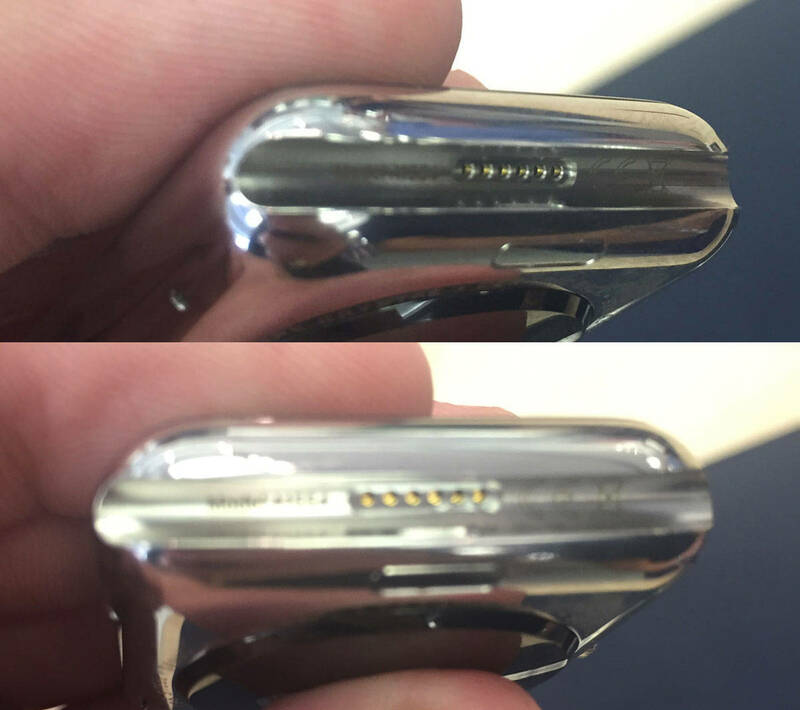 Based on everything that has been outlined so far, what do you personally think about this mysterious diagnostic port present on just about all of the current Apple Watches that are for display in Apple Stores? Do you think that it will also be available on the devices that will be sold to the public? Please let us know your thoughts in the comments section below.